The Alpine Insurance AWCA is very pleased to announce that Allison McArdle will be joining our organisation starting January 1st, as a High Performance Coach. Allison will work with Chris Jeffries, High Performance Program Director, to design and deliver the Academy program. “Allison will make a great addition to our coaching team. I am very happy she is going to help us provide the best athlete development program in Canada. Allison brings many excellent qualification to the job. Among them are her international network, her coaching experience and her team leadership experience. But what I am most excited about is that she is bringing her sincere desire to see athletes reach their full potential.” said Norbert Meier, President, Alberta World Cup Society. Allison has over 15 years of experience in both domestic and international coaching roles in Australia and Canada. 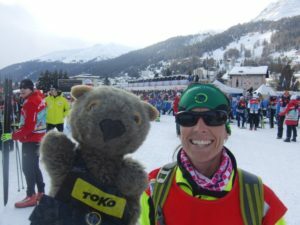 In addition, she currently sits on the FIS Ladies Cross Country Sub-committee, is the Chair of CCC’s Women’s Committee and is the Alberta Ski Team Director.